John William Donaldson (7 June 1811 – 10 February 1861) was an English philologist and biblical critic. He was born in London, and was educated at University College, London, and Trinity College, Cambridge, of which he subsequently became a fellow. In 1841 he was elected headmaster of King Edward's School, Bury St Edmunds, but, "spectacularly unsuccessful", in 1855 he resigned his post and returned to Cambridge, where his time was divided between literary work and private tuition. He is remembered as a pioneer of philology in the UK, though much of his work is now obsolete. 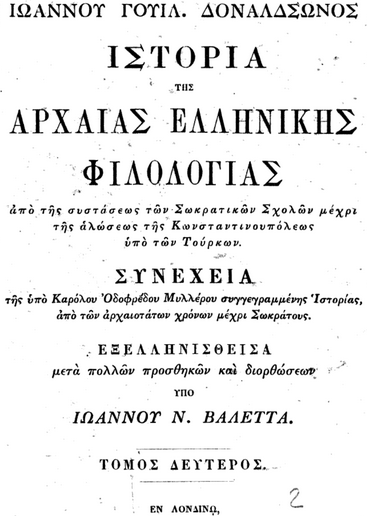 The New Cratylus (1839), the book on which his fame mainly rests, was an attempt to apply to the Greek language the principles of comparative philology. It was founded mainly on the comparative grammar of Franz Bopp, but a large part of it was original, Bopp's grammar not being completed till ten years after the first edition of the Cratylus. In the Varronianus (1844) the same method was applied to Latin, Umbrian and Oscan. His Jashar (1854), written in Latin as an appeal to the learned world, and especially to German theologians, was an attempt to reconstitute the lost biblical book of Jashar from the remains of old songs and historical records, which, according to the author, are incorporated in the existing text of the Old Testament. His bold views on the nature of inspiration, and his free handling of the sacred text, aroused the anger of the theologians. 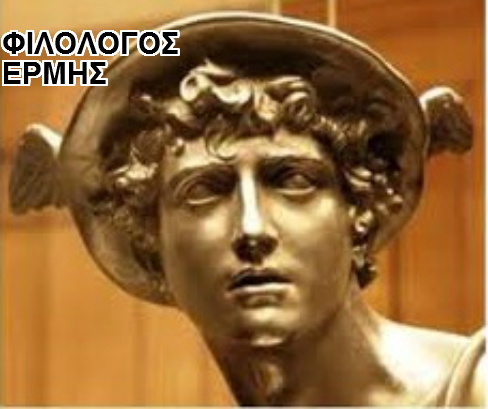 Of his numerous other works the most important are The Theatre of the Greeks; The History of the Literature of ancient Greece (a translation and completion of Otfried Müller's unfinished work); editions of the Odes of Pindar and the Antigone of Sophocles; a Hebrew, a Greek and a Latin grammar.